Latest pest control news, features and blog articles from the BPCA news desk, including PPC Magazine and our monthly Bulletins. 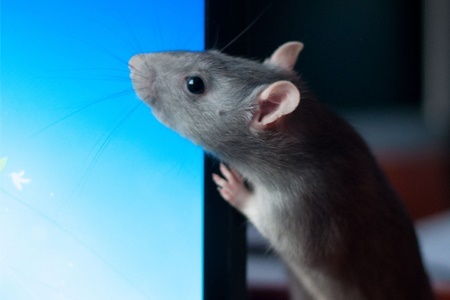 Stay up to date with pest management here. 20 years ago, today (April 15 1999) Jon Blake decided to set up his own business and called it Abate. He and his wife Jill still owns the BPCA member company today. Did you make it into our short PestEx 2019 video? Take a look at some of the highlights from the UK pest management show. The pest management show hosted the second ever British Pest Management Awards (BPMAs) last week, announcing the 2019 winners. Lancaster City Council Unbugged is celebrating a double win after being presented with two prestigious industry accolades. A family run business in Hereford has claimed a top industry award in its first year of business at a prestigious national trade association event. A Norfolk-based pest management company has been named Small Company of the Year at a leading industry event. A Norfolk-based wildlife management company has taken a top prize at a prestigious industry event. A national pest management company, which has its headquarters in Durham, has been presented with a prestigious award at a top industry event. An 81-year old from Kent has been heralded the unsung hero of the pest management industry at national trade body awards. A pest technician from Croydon has been named the best in the country at a prestigious industry event for his commitment to training and development. A South Croydon-based pest management company is continuing its winning streak after picking up another award at a leading industry event. The pioneering work of a Surrey-based pest management expert was celebrated at a trade association event. PestEx 2019 sees an 11% increase in visitors as over 100 pest management product and service suppliers descended on the London ExCeL last week. On the back of the work BPCA and CPA have done with eBay, the Associations have created a set of guidelines to help people report illegal pesticide usage to the relevant authority. "The One Show" regular, Mike Dilger, will present the second ever British Pest Management Awards at PestEx on 20 March 2019. The BPCA Servicing Committee has selected Martin Rose-King, Partner at Bounty Pest Control, as the new Chair. BPCA member Rentokil Initial has announced that it is taking a lead in a new initiative to use unclaimed shareholder dividends and unclaimed shares to fund charitable causes. A new fund, named Rentokil Initial Cares, will be established. Professional pest controller magazine (PPC94) issue 94 is out now and available to read online. Yes, that’s right. You have a new face at the front of your magazine. I’m delighted and proud to introduce myself to you as the new BPCA President. You may have heard the phrase “culture eats strategy for breakfast” and it’s true. The culture of an organisation often leads to the strategy of an organisation not being delivered. Over 2,500 pest management professionals are scheduled to arrive at the London ExCeL on 20-21 March - will you be one of them? The PestEx 2019 seminar schedule packs in illustrious speakers from across the sector. Delivered by industry experts, we’ve called in favours from all our friends to make sure you leave PestEx that little bit better informed. The shortlist for the second ever BPMAs has been announced. With significantly more nominations, plus the new awards - the independent judging panel had their work cut out for them. On 20 March 2019, Dr Jonathan Wade will officially receive his British Pest Management Lifetime Achievement Award 2019. There’s no way we can cover all of Jonathan’s distinguished career in global pest management. Do you have an idea for an article and would like to contribute? 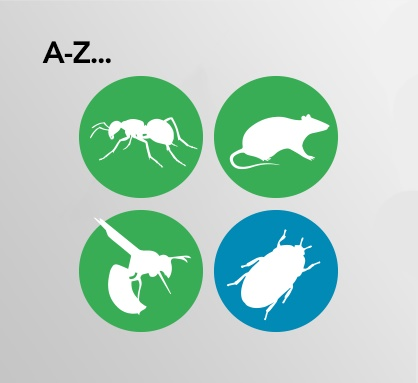 Want to reach the pest management industry?